This unique 5-day programme, delivered in partnership with IMA International, provides the tools and knowledge to maximise and embed value for money (VfM) approaches in an organisation, projects and programmes. You will learn about best practice in economic theory as well as how to apply existing and emerging tools to capture and manage for VfM. IMA International is an international development business specialising in empowering development practitioners and organisations worldwide. The course is aimed at professionals responsible for the maximisation of VfM through all elements of programme and project design and delivery. It presents the latest thinking on how to guarantee that your activities deliver maximum value to your organisation and its stakeholders. The rationale and main features of VfM. How to apply a wide-range of VfM tools and techniques to help manage costs, drive efficiency and ensure effectiveness. How to embed VfM within the project cycle and M&E systems. How to communicate good VfM and influence management decisions for sustainability. The main features and principles of VfM. Where VfM has come from and where it’s going. Best practice in economic theory and tools for VfM. Overview of key players’ roles and understanding of VfM (e.g. DFID, UN, World Bank). Tools to drive, evidence and manage VfM in organisations and programmes. Where to apply management costs within project design and delivery. 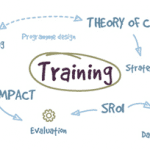 Developing, understanding and testing your theory of change. Tools and techniques for managing efficiency and input-output relationships. Understanding and applying Cost Utility Analysis (CUA). Where to apply efficiency measures within project design and delivery. Understanding and applying Cost-Effectiveness Analysis. Understanding and conducting Cost Benefit Analysis, including Social Return on Investment (SROI). Accounting for triple bottom line outcomes: social, economic and environmental. Understanding and applying Multi Criteria Appraisal. Where to apply effectiveness measures within project design and delivery. Preparing the ground to capture VfM readiness. Embed VfM within M&E and Results-Based M&E systems. Aligning your organisational structures and resources to support improved VfM. Tools and techniques to communicate good VfM. Managing for VfM: how to include VfM in managerial decision-making. VFM and you: the tools to best maximise the VfM in your organisation. To book, click here and select the Value for Money option in the list. This link takes you direct to a booking form on the IMA International website. This scheduled course can also be tailored for your organisation. To find out how our tailor-made training can help your organisation call Giulio at IMA International on +44(0)1273 833030 or email him at post@imainternational.com.